Tech packs contain information that will be used to communicate with your manufacturing team. WhiteStar has developed simple pages you can begin with to create your own tech packs in an easy to download format. Tech Packs can be many pages, but this simple page will communicate your basic information. These pages include your company, style, size and fabric information. 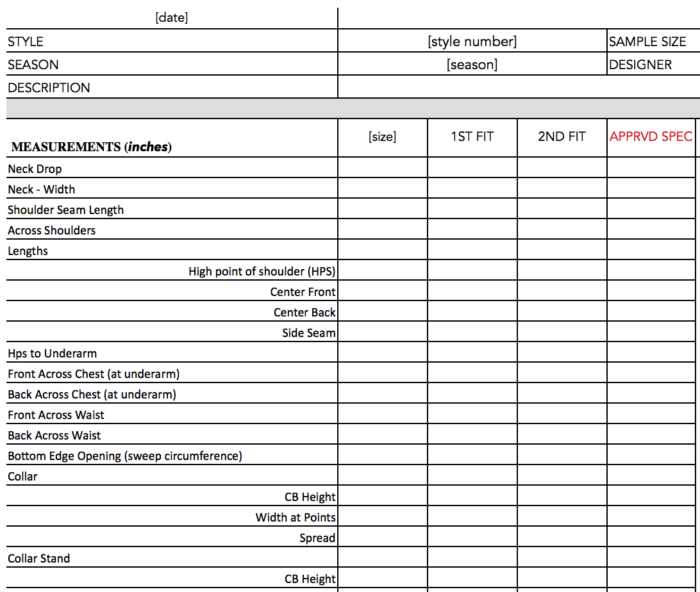 There are measurement categories for the styles listed. You can add or change descriptions on these lines if needed. You can add your own photos or line drawings. You can add your Bill of Materials and Construction Notes. 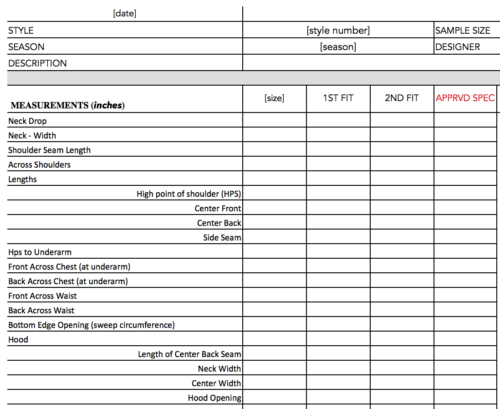 Tech Packs can be many pages, but this simple Grade Rule page will communicate your basic information for the increments your garment will increase or decrease and in what areas these changes will take place. You can enter information for S, M, L, XL, XXL (or you can change these categories to 2, 4, 6, 8, etc.). These pages include your company, style, and size information. 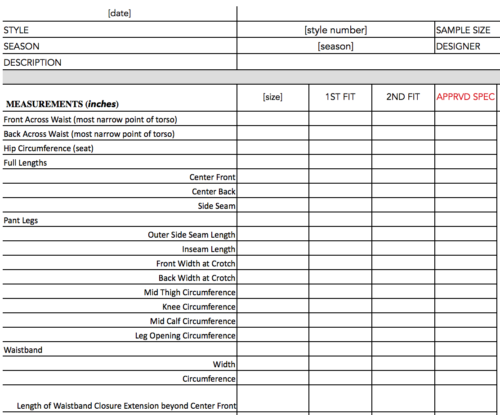 There are measurement categories for the styles listed. You can add or change descriptions on these lines if needed.